Million Dollar Views!! 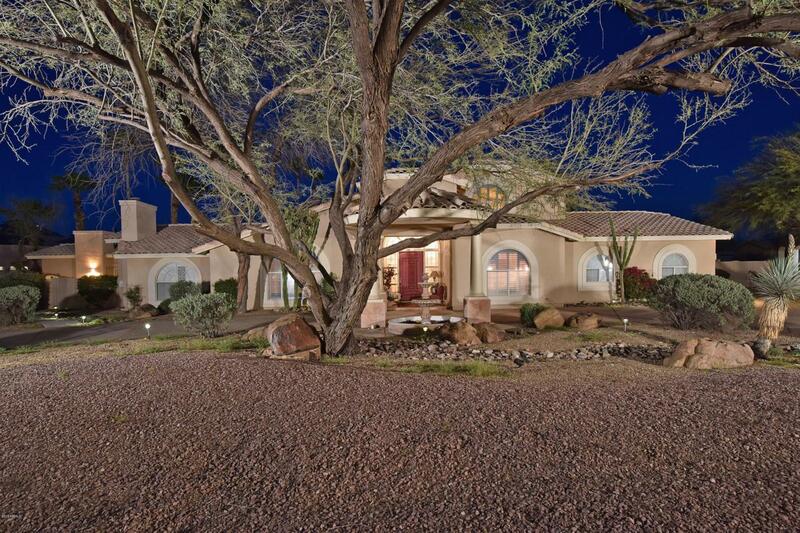 Designed to perfection this exceptional family home in the desert! This home has everything you could want in a resort and you can call it you own home. The curb appeal is fantastic with a corner lot and large circular driveway with a porte cochere that add to the beautiful appeal to the entrance of this home in an area of multi-million dollar estates.This 5 bedroom 4 full bath home has a beautiful extravagant entrance with 20' ceilings that make this home spacious and open. Private Master Suite has a large balcony with gorgeous McDowell Mountain Views! Huge walk in closet with custom drawer and shelving in Master Suite.